When the first electric vehicles (EV) rolled out of factories in North America, the fascination of a car having to only run on electricity had great potential as gas prices sky rocketed. The promise of a lower carbon footprint enticed consumers as well as sparked the reduction of greenhouse gases. The electric vehicle industry is growing more every day. For instance, since the release of the Nissan LEAF in 2011, there are now over 200,000 on the road globally, making it the most popular EV ever. Many other auto companies have joined the movement by creating hybrid and electric vehicles for their consumers. In addition to contributing to the global clean energy movement, an electric vehicle battery can serve as a backup battery source for homes and buildings. This groundbreaking technology can even be used for renewable energy resource smoothing, and can increase efficiency and sustainability of an electric grid. However, with all these perks, consumers have had to pay a price, but not necessarily a dollar amount. As the EV Charging technology advances, consumers are dissatisfied with lengthy charging times from overnight to 24 hours. For example, the Nissan LEAF can achieve a full charge when connected to a standard wall plug for 24 hours, thereby only charging it a third of the way if left for 8 hours overnight. Although there are faster charging stations available which can charge the EV’s in 8 hours, the need to reduce car charging time further is key to the owner experience. Is there a car charging technology out there which can charge in a shorter amount of time? The answer is yes. 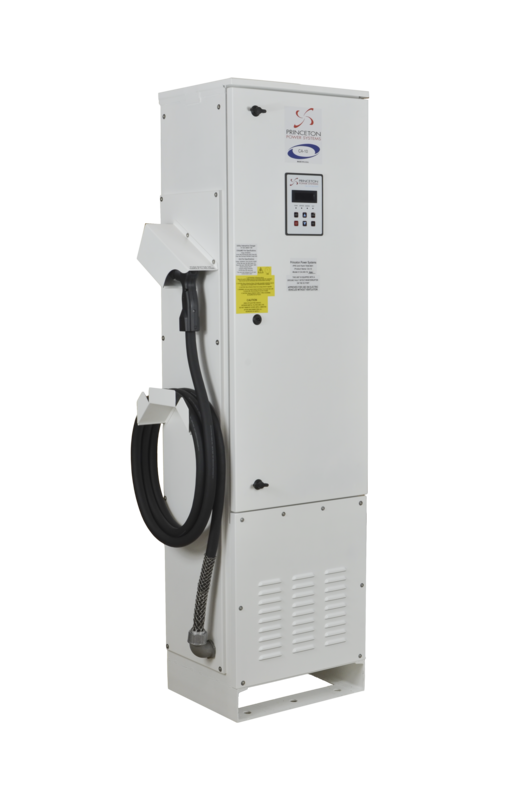 Through a DC-DC conversion process in EV charging technology, the converters can provide up to 50 miles of range in less than 20 minutes. How does it charge in a short amount of time? The answer lies in how the technology utilizes DC power. The technology maximizes the DC power output from a solar array, and through a DC-DC converter provides DC fast-charging directly to the electric vehicle. The direct DC-DC conversion reduces losses associated with power conversion by over 50 percent, maximizing efficiency and reducing charging time. However, the charging technology is not just about powering up EVs; the system can also output power to the grid, or to the home when the grid is not available. This ground-breaking EV charging technology has been utilized at the Los Angeles Air Force Base in El Segundo, CA by the Department of Defense (DoD). Prior to the commissioning of the systems, the Pentagon established plans for initial vehicle-to-grid (V2G) tests at four military bases in the United States, L.A. Air Force Base being one of the more prominent ones. The DoD was searching for a cost-efficient and reliable EV charging solution which could be utilized at the base. As a result, the first fleet of bi-directional electric vehicle charging stations were installed. 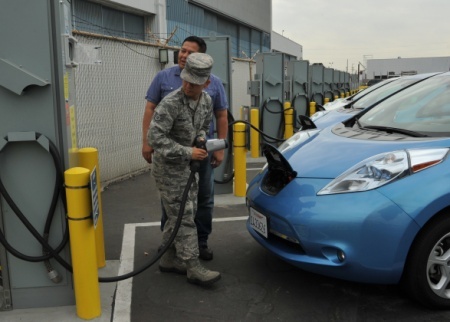 The technology provided to the military base was set to charge an electric vehicle directly from the local utility grid, enabling Los Angeles Air Force Base personal to utilize the electric vehicles as transportation within the base. When called upon, and when connected to the electric vehicle, the bi-directional charging stations were to switch power flow directions quickly in order to support the V2G energy request. This was done by discharging the electric vehicle’s on-board battery. In addition to supporting the reliable operation of the transmission and distribution system by providing frequency regulation, discharging the battery can also support demand response, VAR support, and other operating modes of the military base. The project included the installation of V2G plug-in electric vehicle charging stations in support of the Air Force Research laboratory. The scope of supply delivered to L.A. Air Force Base consisted of thirteen 15 kVA bi-directional charging stations with CHAdeMO DC fast-charge option, capable of exporting power from the car to the grid. Today, the output of the stations are monitored and controlled by a site controller having built in frequency regulation, demand response, and other grid-support features. Military deployments, such as L.A. Air Force Base, and commercial deployments of EV charging technology are just the beginning. Imagine the possibilities as the technology becomes more efficient and faster. In the beginning, these EV charging systems were utilized solely for charging electric vehicles. Today, they are still used for that purpose, but are also used to distribute clean, reliable energy when the power goes out. As natural disasters continue to strike, and in areas where the grid is not reliable, V2G charging is the solution for power outages and the sustainability of the electric grid to keep homes and businesses up and running. 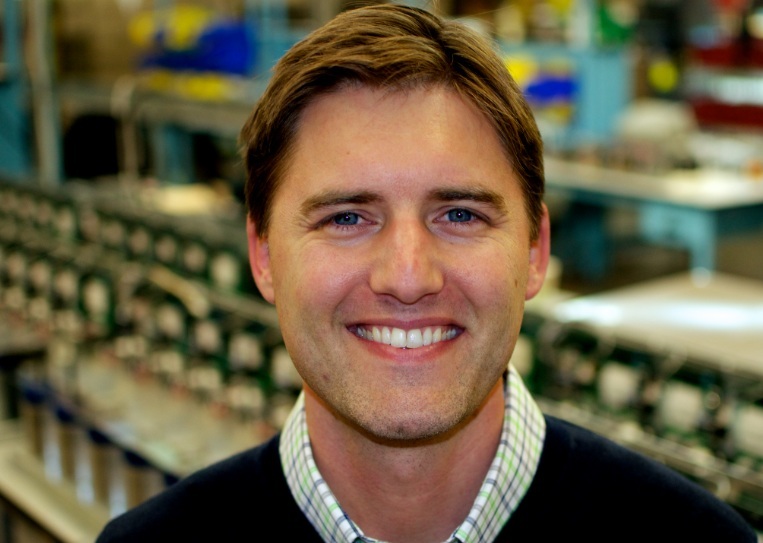 Darren Hammell is the co-founder and chief strategy officer of Princeton Power Systems.